There are good sceneries and great sceneries. There are also sceneries that take your breath away. 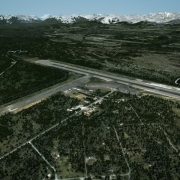 ORBX Ketchikan International Airport is one of the last. The airport was built four decades ago in unfavorable terrain. Mountains surrounding Tongass Narrows and Ketchikan town located on one of it’s shores leave no space large enough to place an airport. Earlier – people of Ketchikan used Annette Island airport which could be reached in a floatplane. 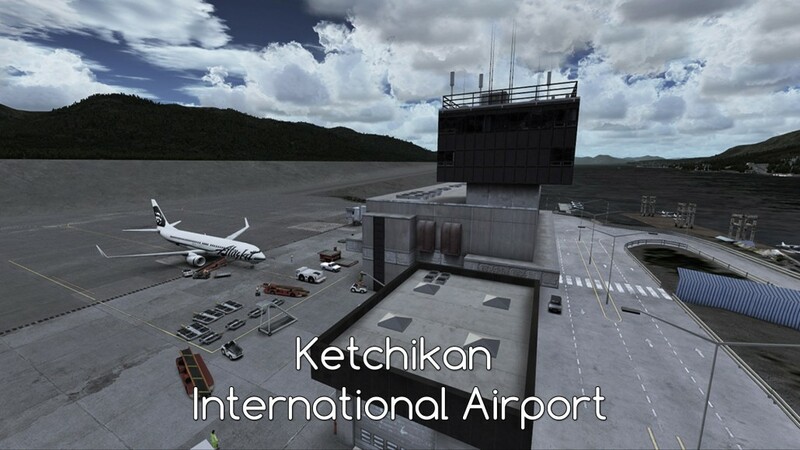 The new airport removed this inconvenience and opened Ketchikan to the world. 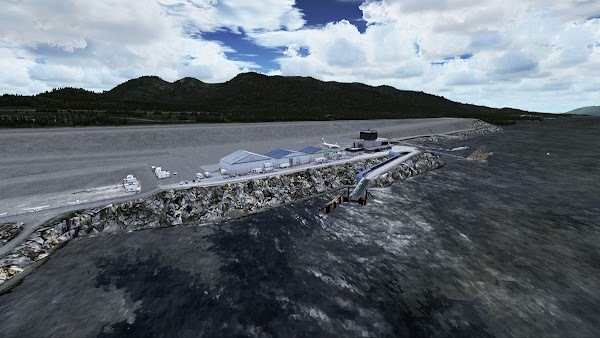 The construction was difficult – new airport was constructed on the other shore of Tongass Narrows and everything needed (and still needs) to be moved by a ferry. The short cruise takes several minutes- much faster than a 20 mile flight to Annette. Airport layout is astounding… Let me describe my experience. I bought ORBX FTX Pacific Fjords first and for some time I was using PAKT without this scenery. I felt that it is strange to have a runway passing just next to the apron with no taxiways connecting the central part of the runway with parking. There were only two taxiways – each reaching one of runway’s ends. In a small cessna it was boring to taxi all the way so I often took a shortcut. Then I saw some photos of this airport and I finally understood – apron is located below the runway and you can not taxi directly – there is a steep slope in between and only thanks to the long (sloping) taxiways you can reach the runway. GA parking – left, low. Apron – in the middle middle. Runway- top. If your are interested in proper procedures – remember that PAKT has no tower – you can expect information and advisory service here. The airport is located in E class airspace – that means that you need a clearance for IFR flight and you need to stay on ARTCC frequency when flying IFR. 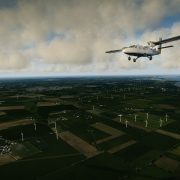 If you are flying VFR – there is no need for either. 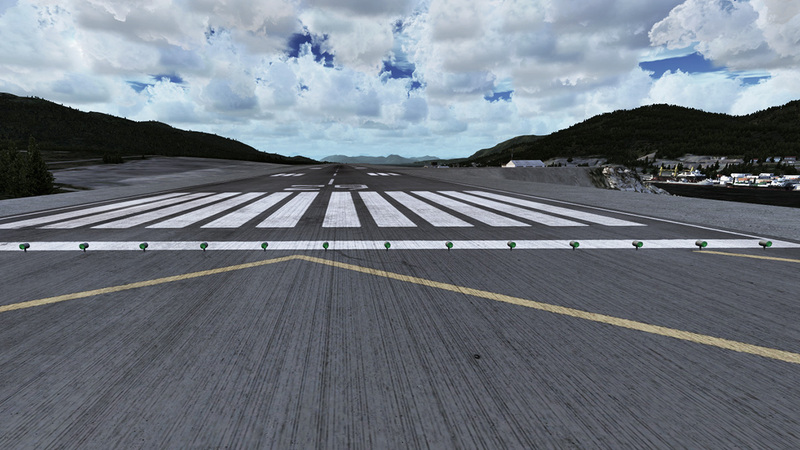 You can expect heavy crosswinds in Ketchikan – a perpendicular runway is being considered because of this. 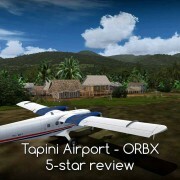 The airport is also used by seaplanes – you will find their base in the northern part of wharf. 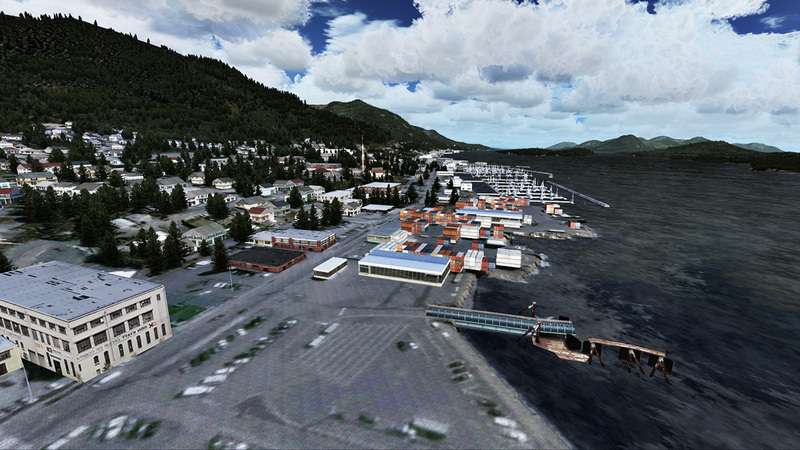 Several docks and seaplane harbors are located in Ketchikan town on the other side of the strait. If you like flying large airliners – take a 737 in Alaska Airlines livery. That is the biggest plane that lands here. Alaska Airlines flies to Seattle, Sitka, Wrangel and Juneau (and then to Anchorage). Alaska Central Express flies Beech 1900 on regional routes and Island Air Express flies their Caravans (both float and wheel models) to Klawock. IAE also flies local charter flights to wherever it is necessary. Pacific Airways is a small airline that flies Beavers to Hollis, Craig, Matlakatla, Thorne Bay… and wherever someone needs to go. All planes up to the size of Boeing 737 will look perfect here. 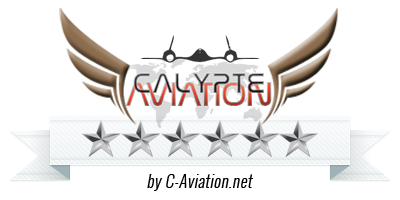 “Buy now” button on the product page, redirects to the FlightSimStore where PAKT Ketchikan Airport cost 29.95 Australian Dollars – that makes 20 USD or 18.50 Euro at current rates (September 2015). It’s a download version and there is no box version so if you need a DVD – just buy the download and an additional copy on DVD that is available at FSS for 7.95 (AUD) + shipment. Installation process is the same as in other ORBX products – download the installer, then enter the order number, order date and your email to unlock the installation. 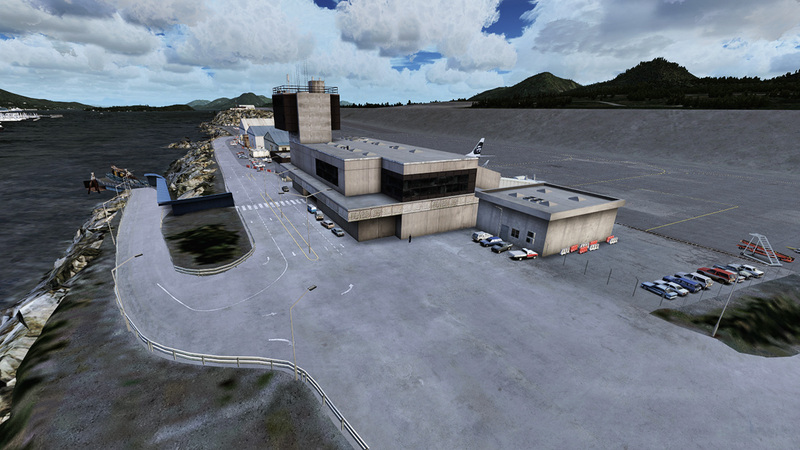 To use all features of this airport FTX Pacific Fjords scenery is required. Without FTX PFJ your experience will not be complete and some elements may not work. 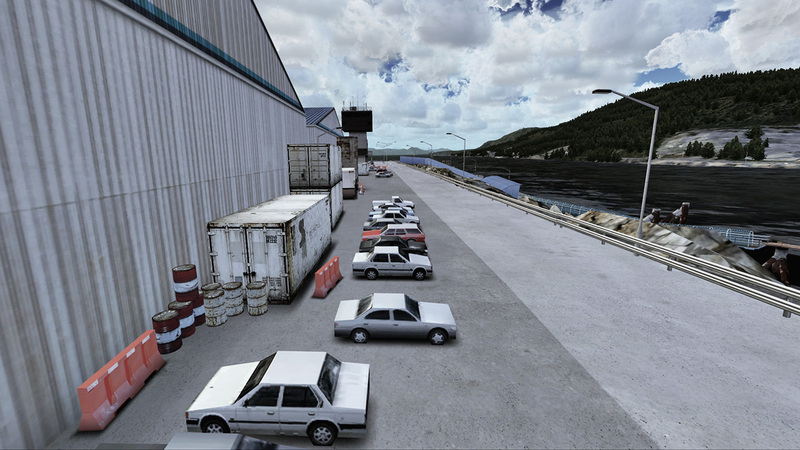 There is a configurator included – it turns on or off the animations (people), ground services equipment, static planes, static seaplanes, boats moving around the harbor and some city buildings. If you observe performance issues – try disabling some of this features. 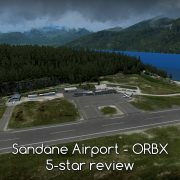 As always with ORBX add-ons – there is a manual that guides you through the proper FSX configuration for this scenery. 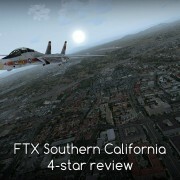 It also lists some of the limitations that I will also cover in this review. 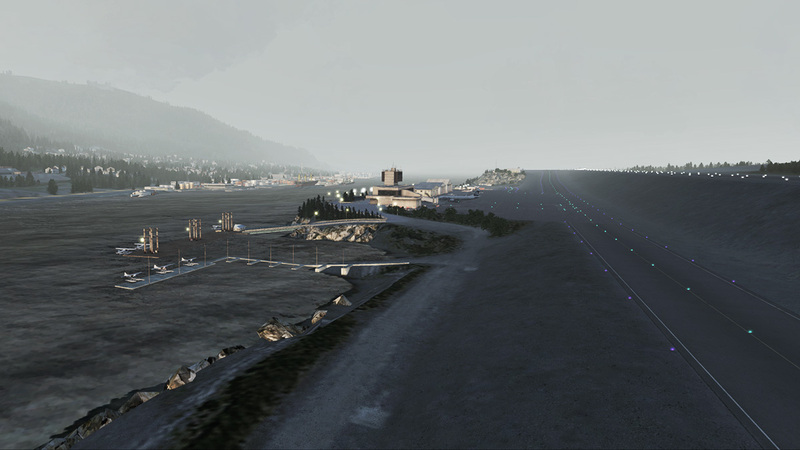 Scenery covers the airport and Ketchikan town on the other side of Tongass Narrows. Objects and settlements on both sides of Narrows are also included. 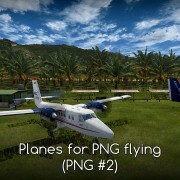 The scenery uses aerial imagery as background (high – 60cm/px resolution). Mesh has a resolution of 5 meters. The airport is designed as a 3d model – that is how it was possible to show it’s distinctive shape. Unfortunately FSX does not allow such airports – this is the reason why there is no AI traffic for this airport. 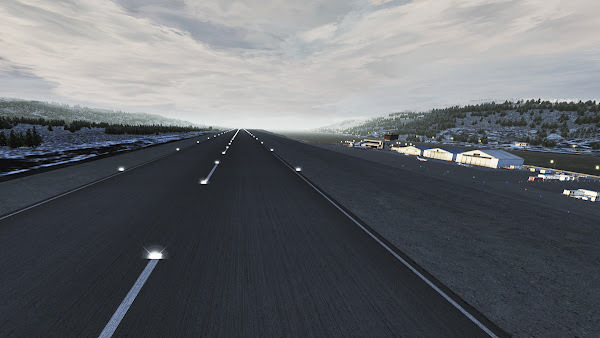 For some reason I do not really understand – the 3d model of the airport does not allow snow cover on apron and taxiways. It looks strange in winter but according to the manual – it is a choice and it is the lesser evil. I accept the explanation but I miss the snow. Buildings are covered with high resolution textures (one can even say – very high res.). Even when I look from close distance they look realistically. What I like most about this airport is how small objects like crates, pallets, containers and barrels were placed. It looks excellent – like at a real airport where many people work, move stuff around and boxes to pack their tools and parts). 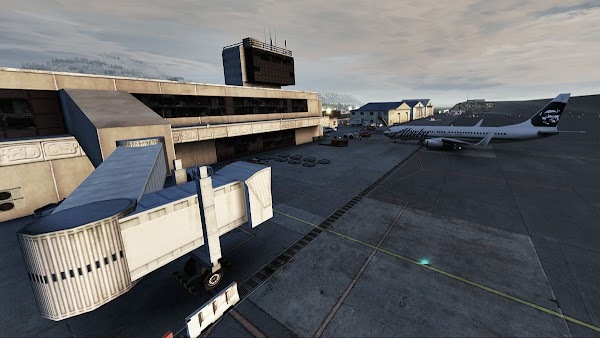 This realistic effect is strengthened by animated people – someone is walking around, airport employees are loading luggage (if your luggage was damaged – look here! it was because of someone like like this guy!). There is also a person taking a suitcase from the cart and walking away… Is it a thief or a worker concerned that someon’s baggage is being sent to Seattle instead of a holiday lodge? If you choose to see static planes (which is what I strongly recommend) – there will be a Boeing 737 parked in front of the airport building. Do not worry – there is a free stand and a jetway waiting for you. On the general aviation parking you will wind several small planes. 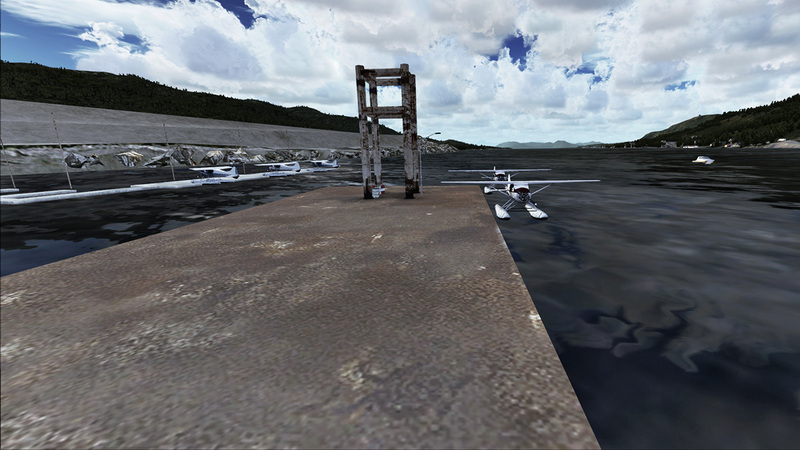 Next to the airport there is a seaplane base. There are two dock – a light one moored to the shore and a second – heavier – floating on it’s pontoons with several columns holding it in place while it moves up and down with tides. 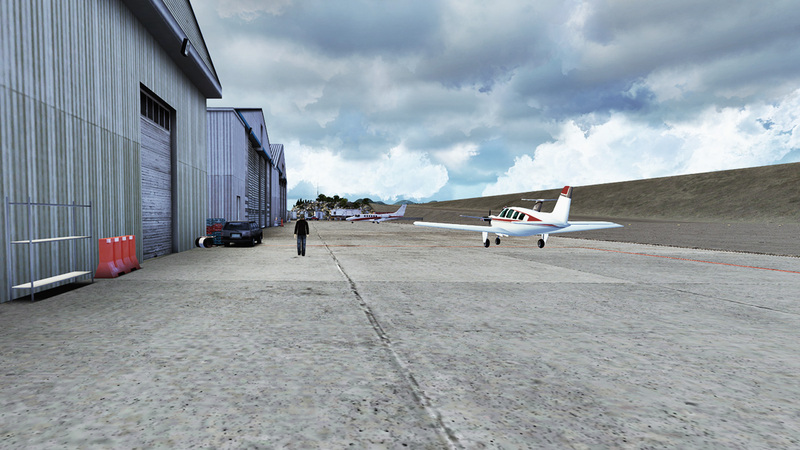 Of course – the tides are not simulated in FSX, so do not expect any changes here. 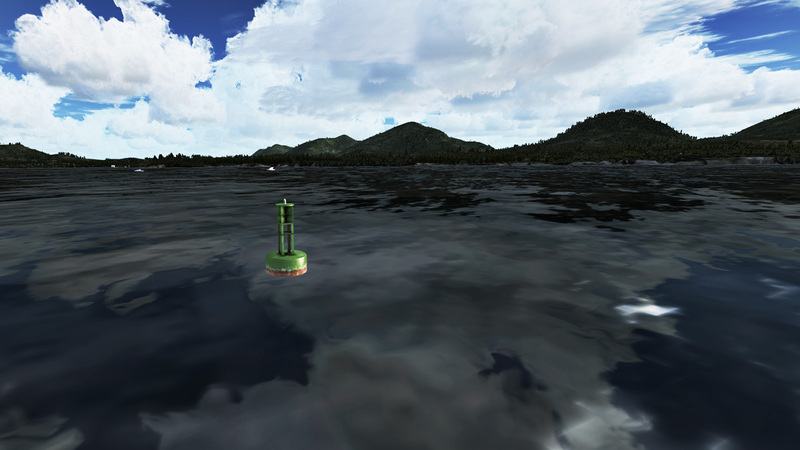 If your floatplane has no paddle – you will probably need to use slew mode (default key – y) to move around the water while docking. 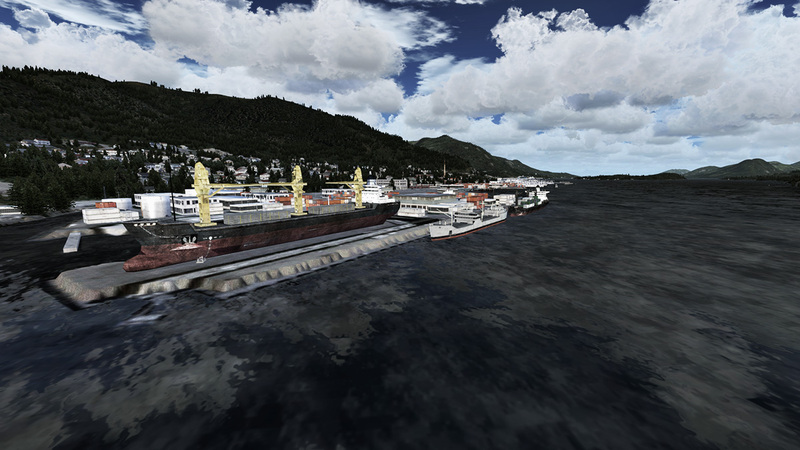 It is hard to tell then Ketchikan harbor ends. There is an embankment where large freighters dock – you will easily spot it because of the crane that looks like it was hijacked from a construction site. Yacht marina is protected by a breakwater. In my opinion – placing so many sailing yachts (instead of motor boats) was a mistake but I may be oversensitive in this case. There are several places where cruise ships dock… and between all this marine related places – there are some small harbors, jetties and docks where small boats and seaplanes dock. 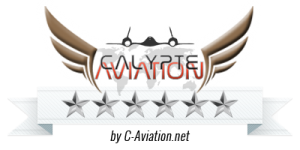 It is nice to use this places (you will need to save your flight or get there in slew mode). Chaotic and random… like most Alaskan towns. In this scenery it looks just as it should. Some characteristic buildings helped me get my bearings when I was flying helicopters to look at the town. 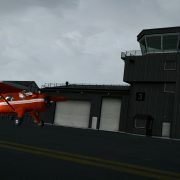 I often fly small planes from Ketchikan in conditions that make it hard to see terrain features. That is why I look for additional navaids. Clam Cove NDB can guide me towards the airport but it is good to know how far am I. That is why navigation lights and buoys help me. I got used to this green lights of the waterway that are the first think I see when flying back to Ketchikan in dense fog. I told you about the high quality of buildings. I would like to emphasize once again how detailed and good looking they are. It is great to just glance at a hangar or an airport light when taxiing. 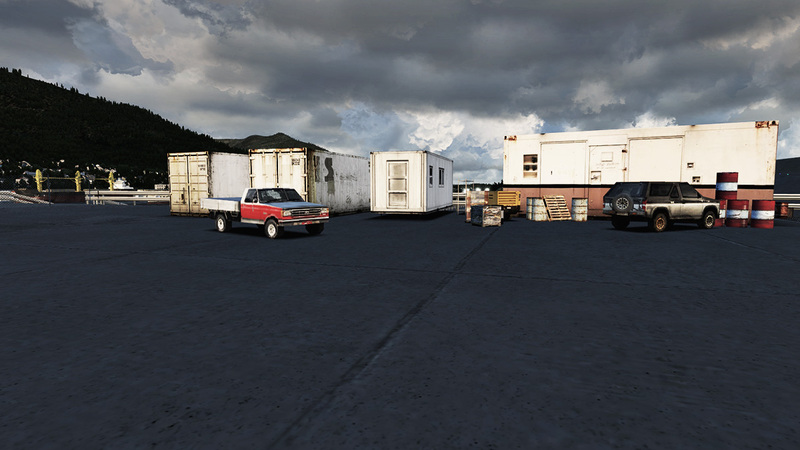 Ketchikan International Airport scenery is exceptional. 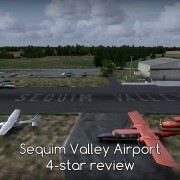 Developers took a difficult task of creating an unusual airport, they found solutions that allowed for what was impossible in FSX and they kept the the quality of their work in every field in this project. If you have FTX Pacific Fjords – PAKT Ketchikan Airport is a must have for you! I think that 18.5 Euro is a standard price for the scenery and here I got the scenery that is much above standard in every respect.